It's a very good apartment. The room is clear, the facilities are cool. The owner, Konstantinos is very helpful and friendly. I suggest this accommodation! we had a very pleasant sitting...the accomodation was super,we were very delighted about evertyhing. Reklamationen wurden sofort bearbeitet. Die Putzfrau war sehr freundlich und hilfsbereit. Der Wäschewechsel hat sehr gut funktioniert. Die Küchenausstattung war ausreichend. Es gab Fliegengitter an den Fenstern. Leider war selbst davon das an der Terrassentüre defekt. Accueil sympathique et rdv bien organisé. Belle piscine. Un peu à l'écart du centre de Sidari donc bien car moins bruyant. Apartman v tichej lokalite, čistota a vybavenie je výborne. Hostitel mily a napomocny. V blizkosti ubytovania taverny a obchody. Celkovo fajn, určite odporučam. La posizione della struttura lontano dalla caoticità del paese ma abbastanza vicino per raggiungere il centro. La vicinanza a supermercati,ristoranti,benzinaio e strade principali di snodo. Bardzo ładny, dobrej jakości apartament, w spokojnej okolicy. Konstantinos est tres sympathique, il était facile de communiquer avec lui et il nous a offert un verre en arrivant. Lock in a great price for Erifili Apartments – rated 8.9 by recent guests! The apartments, in Sidari by the coast of Corfu, are an ideal place for relaxation and will offer the chance to enjoy the tranquil Greek countryside and Mediterranean climate. The Erifili Apartments are conveniently located half a mile from the center of the small town of Sidari. Sidari features a beach, taverns, cafes and local shops. In this quiet location by the coast and surrounded by forests, you can enjoy walks through the natural terrain or relax in the private garden. The stunning Canal d’amour, with its white carved rocks and blue waters compose a truly wonderful scenery. The town of Sidari has a developed service industry and offers a variety of water sports. When would you like to stay at Erifili Apartments? 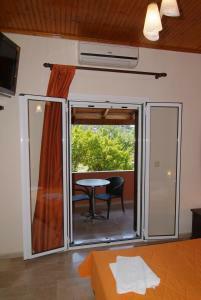 Spacious air-conditioned apartment features a well-equipped kitchenette with an electric oven and stove. Also includes a flat-screen satellite TV and private bathroom with free toiletries and a hairdryer. It opens out onto a terrace with access to the garden. At 2008 i start up the Erifili Apartments and since then we making it better every year. 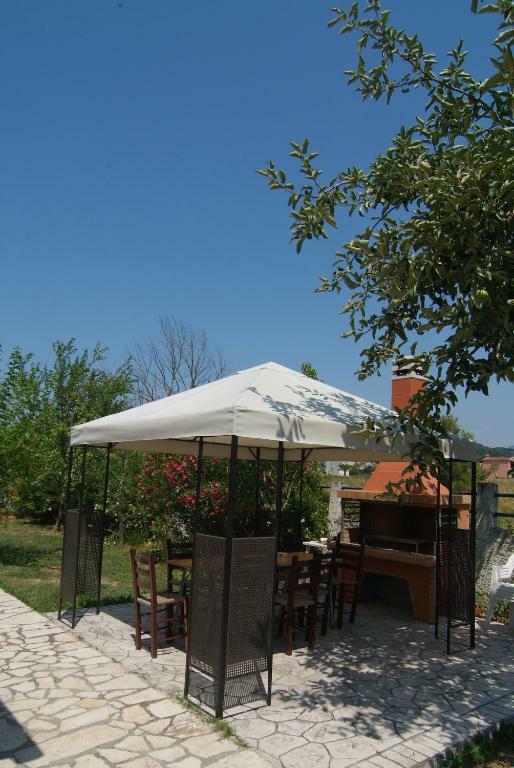 The Erifili Apartments are an ideal place for relaxation and will offer you the chance to enjoy the tranquil Greek countryside and Mediterranean climate. Our apartments has equipped with everything you might need for your holidays. In the apartments you can find hairdryer, iron and iron board, coffee maker, toaster, air condition, 32'' flat screen tv, satellite tv, refrigerator, electric oven, safe, hot water all day, BBQ, playground, Swimming pool (50 meters away), free parking and cleaning the apartment and providing clean sheets and towels every 4 days. My name is Konstantinos Provatas and I am 39 years old. I am married with Aggeliki and we have a beautiful daughter and a son. I am an accountant and we live in Corfu town. I love traveling and I enjoy meeting new people. Sidari is a very alive place and features a beach, taverns, cafes, bars, clubs and local shops. Our apartments are locate 1.2 km away in a quiet location surrounded by forests, you can enjoy walks through the natural terrain or relax in the private garden. Sidari is a perfect place for couples and families, and i am sure that you will enjoy your holidays to Sidari and our apartments. House Rules Erifili Apartments takes special requests – add in the next step! Erifili Apartments accepts these cards and reserves the right to temporarily hold an amount prior to arrival. The swimming pool is located 150 feet from the hotel. Please inform Erifili Apartments of your expected arrival time in advance. You can use the Special Requests box when booking, or contact the property directly using the contact details in your confirmation. A bit far from the beach (15-20 minutes on walk). A well equipped apartment in a very good price.